LOS ANGELES—April 1, 2016—Today inerTRAIN named Laura Endres, certified personal trainer and group fitness instructor, the new Chief Fitness Officer (CFO) of the company. inerTRAIN provides customized personal training delivered online. To ensure success of the business during its time of growth, inerTRAIN expanded the role of CFO to oversee everything fitness-related in the business, including developing inerTRAIN’s fitness program and strategy, creating informational wellness content, and driving fitness innovation and excellence throughout the inerTRAINER community. 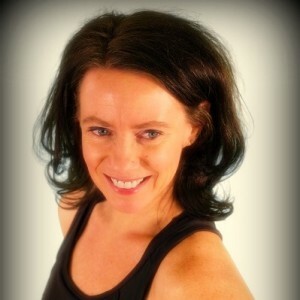 Laura has been an inerTRAINER since April 2013, but she also taught group fitness classes and trained clients one-on-one for over 25 years, whether online, at gyms, or in clients’ homes. Her experience founding This Is Fit Workouts and WalkFit Challenge, as well as management roles with various gyms and organizations, positions her well for the inerTRAIN CFO role. Laura’s knowledge of online training and enthusiasm for the company and its growth makes her the ideal candidate for the position. Based in Los Angeles, inerTRAIN was launched in 2010 and is dedicated to helping people lead happier lives in healthier bodies by working one-on-one with a personal trainer online. Our fitness experts custom design each client’s fitness program around his or her lifestyle and personal circumstances. For more information, visit www.inerTRAIN.com.